Okay, this one is strange! We promised that on Gingerbreadfun.com we would post up anything dealing with Gingerbread so this is no exception. 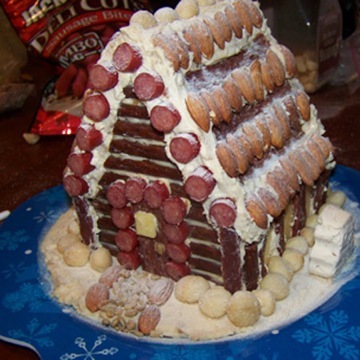 True, it is not a traditional Gingerbread House made out of sweets but, it is a Gingerbread House. This one is made out of meat and lots of it and even some cream cheese for glue. Read more here.